With an enticing array of viral dance moves, tough weekly challenges and fresh skins, people are going bananas for Fortnite. The number of players increased from 30 million in December 2017 to 125 million in June 2018. For those who are (somehow) unfamiliar, Fortnite is an online video game made by Epic Games. Last month, Epic Games irked Google by deciding not to host its app on the Google Play Store. Instead, buoyed by the inexorable rise in users and reluctance to pay the thirty percent of revenue to Google, Epic Games opted to provide downloads through its own site. Naturally, Google prefers game developers to host applications on their own store, believing their security controls provide the necessary defenses to protect users. Indeed, on 15th August, an engineer at Google discovered a vulnerability in the recently released Fortnite app, a bug that has subsequently been fixed. But what exactly are the security risks? We’ve observed malware, phishing sites, and account takeovers targeting Fortnite users. This increased interest around Fortnite is reflected in the criminal underground. Figure 1 shows mentions of the game across criminal forums and dark web pages in the past year. While there were 265 mentions in January 2018, this swelled to over 500 in August 2018. Some will be avid gamers themselves, but many of these discussions are more nefarious. Figure 1: Mentions of Fortnite across forums, dark web pages and chat messages in the past year. Spoof domains are something we come across a lot at Digital Shadows, and Epic Games is no exception. However, given Epic Games’ decision to bypass the Google Play Store and host through its own site, the risk of a spoof domain tricking users into downloading a malicious file is that much more acute. Consider one site, fortnight-apk[. ]com, which appears to look legitimate (assuming you’ve ignored the “Not secure” notice in the browser address bar indicating the website doesn’t use encryption to protect the data you are sending it). Downloading the game from this site will likely be a nasty surprise for budding gamers, as this particular APK appears to be loaded with a known piece of spyware. It’s also not just game downloads that can pose risks to users. Cybercriminals are looking to leverage the increased interest in Fortnite by offering merchandise and other branded goods. 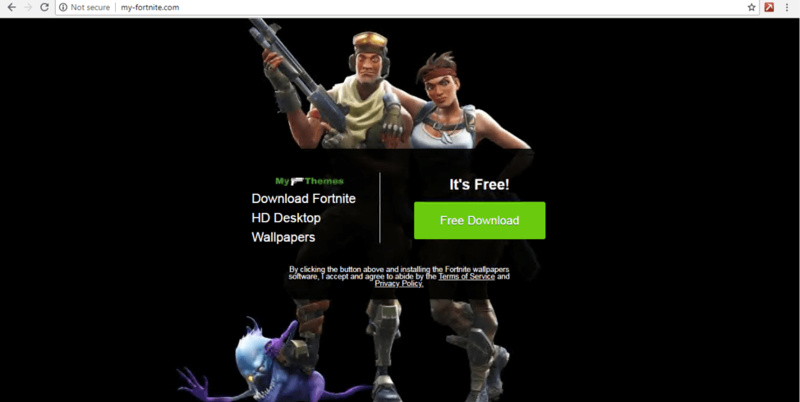 As tempting as it may be to get a flashy new Fortnite wallpaper, sites like my-fortnite[. ]com are looking to exploit users. In this case, downloading the wallpaper will look to install a malicious Windows executable file (for more information, see the Virus Total page here: https://www.virustotal.com/#/file/feb7392d18baccb34244687516a2583fde930fc3bdf1744b2d964eb6da1fe5e4/detection). 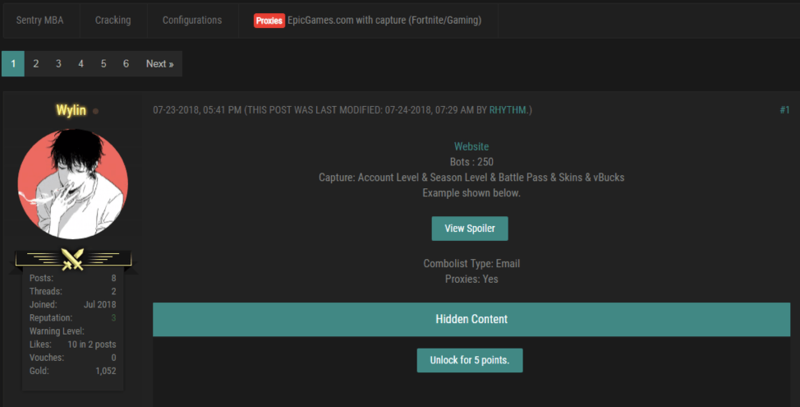 Spoof domains are not only registered to convince a victim to download malware; they are also looking to harvest the credentials of Fortnite users. Numerous sites have been registered that seek to trick users into entering their credentials, such as the one shown in Figure 4. These accounts can then wind up for sale across criminal forums. 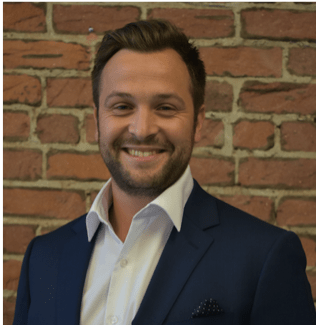 We all know how often users reuse passwords across different sites and so, by entering your password into these sites, you may be leaving your other accounts exposed. By exploiting this increased interested in Fortnite, attackers seek to gain credentials that could be monetized at a later date. 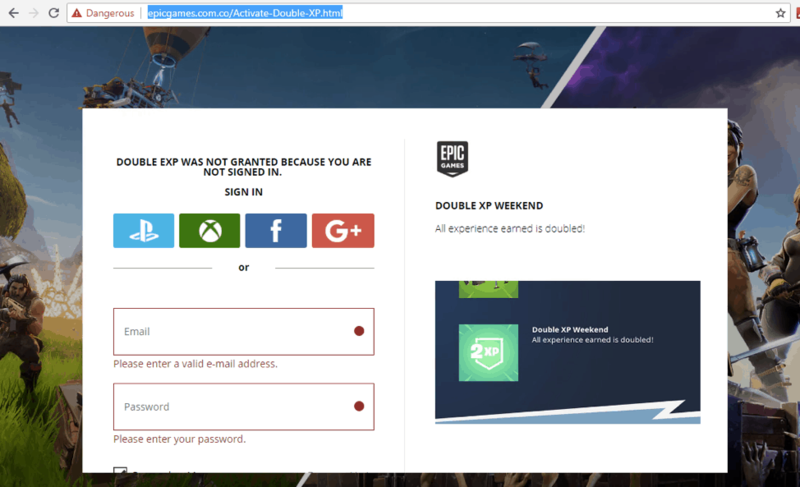 This is just one example of many sites impersonating the Epic Games login pages, made easier by the html for the site being publicly available after it was posted to Pastebin in late March 2018. Fortnite has been lauded for its approach to multifactor authentication, as it rewards users for enabling this feature. However, if a new dance isn’t motivation enough to implement multifactor authentication, the trade of tools to takeover Fortnite accounts should be. Credential stuffing is a type of brute force attack whereby large sets of credentials are automatically inserted into login pages until a match with an existing account is found. One such tool Sentry MBA. In order for attackers to successfully attempt these logins, a configuration file is required for the target site. Attackers create, share and sell these online – including those for epicgames.com (Figure 6). 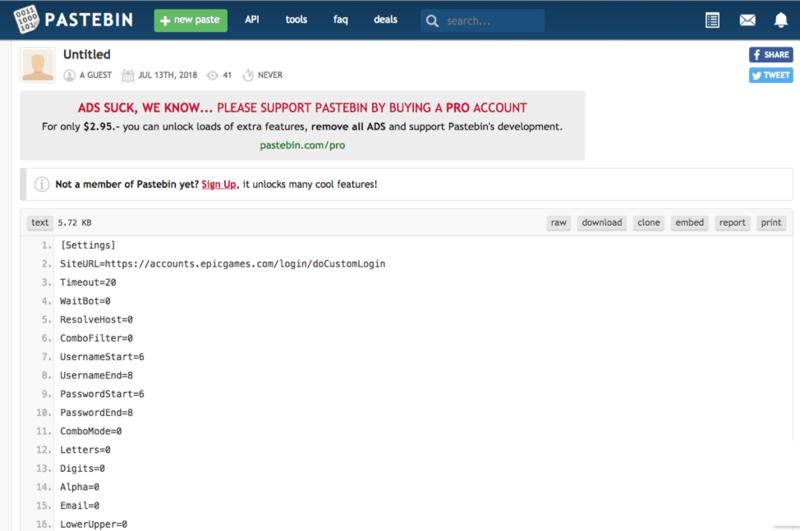 It even appears that a configuration file has been uploaded to Pastebin in July 2018 (Figure7), further lowering the barrier. Enable multifactor authentication. It’s easy, you get rewarded, and it’ll save you a lot of bother down the line. Don’t reuse passwords. Try not to reuse credentials across multiple sites, as one breach may leave you exposed across other services. Verify the website. 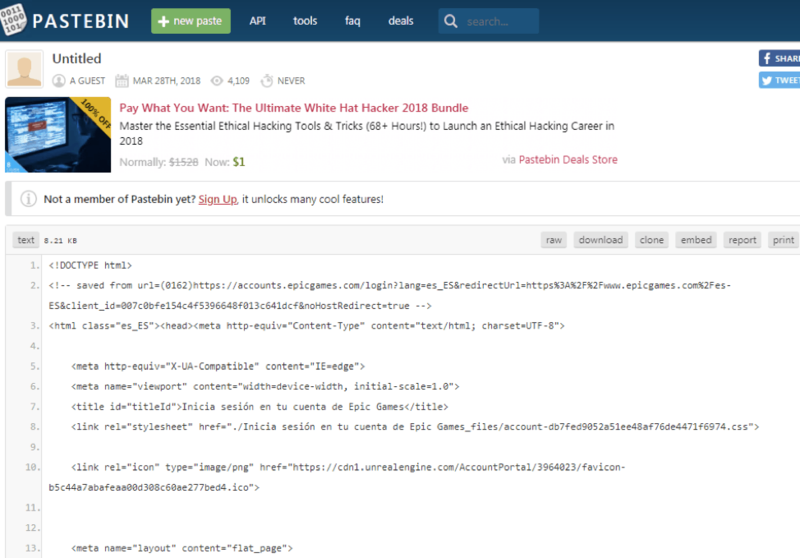 Be wary about where you download the game or merchandise from, ensuring it is epicgames.com. 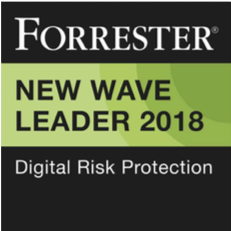 To read more about how criminals perform account takeovers, you can download a copy of our report, Protect Your Customer and Employee Accounts.